This is our first interview in a series that shines a spotlight on the publishers donating to the program. 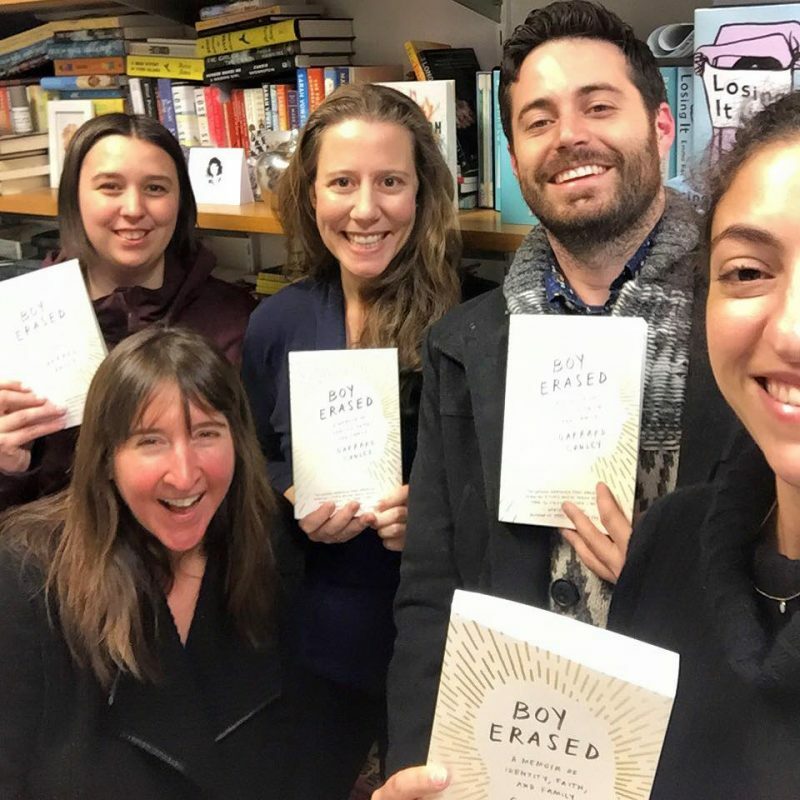 Riverhead (an imprint of Penguin Random House) has graciously donated 2 classroom sets of Garrard Conley’s Boy Erased to the LGBTQ Writers in Schools Program to become the first publishing partner for the LGBTQ Writers in Schools program. When publishers make these donations, it not only shows their commitment to the writer’s work, but also to the students and to the goals of the program. 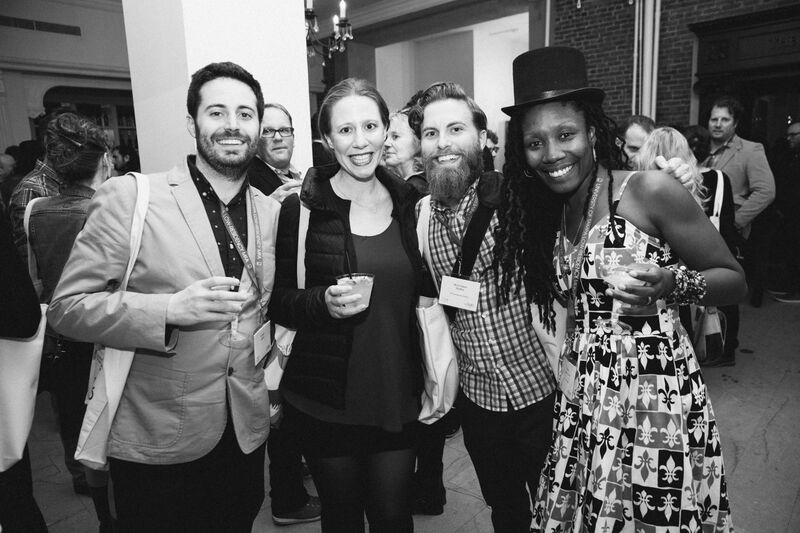 These publishers understand the importance of LGBTQ lives through writing and the importance of promoting diversity and acceptance through literature.We are happy to have the opportunity to speak with Riverhead’s Executive Publicist, Katie Freeman. 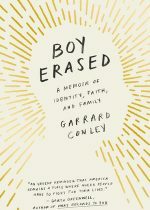 What do you hope readers will take away from Boy Erased by Garrard Conley? Boy Erased is a vital book for this moment, and it is also a timeless book that is a testament to the struggle to be honest and open about one’s identity, and about how complicated love can be, how it can lead us to profoundly harm those we care about. When Garrard in his acknowledgements says “Thank you, most of all, to my mother and father, whose love has made all the difference,” my heart breaks with both happiness and sorrow for the journey their love has taken and continues to take. What I hope readers retain from Boy Erased is the strength to hold onto hope, and the knowledge of how hard that is to do for so many people in this country. It’s so wonderful that Riverhead donated all the books for both of Garrard’s visits. Why was that important to Riverhead? 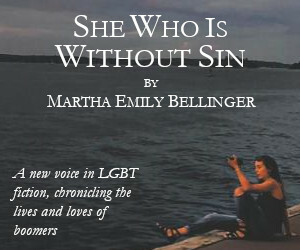 Riverhead publishes striking narratives from a diverse array of voices. We often partner with non-profits who are doing the necessary work of creating bridges of access to literature. 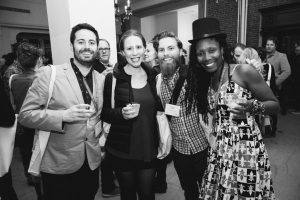 We’ve hosted fundraisers for organizations like Libraries Without Borders, PEN, and I, Too, Arts Collective, and we amplify the outreach of our many authors involved in similar organizations. We admire Lambda’s Writers in the Schools program and it gives us great pleasure to support that work by donating books to the classrooms. It is extremely important to us and to Garrard that Boy Erased reaches students, and Lambda’s work in the schools was a wonderful opportunity to make these important connections. What’s the best part of your job as a publicist? I’m very lucky to have a job that allows me to talk about books all day. I love connecting with booksellers, with book review editors, writers and producers, and with my colleagues about their projects. 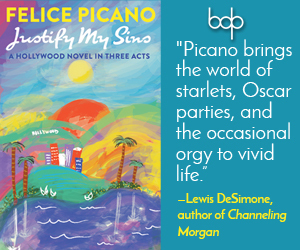 My favorite part about my job is when I get to witness an intimate spark of connection between a book and a reader–that can be when an interviewer tells you how much they got from speaking with an author; when I read letters from readers to our writers; when you get a review where the critic saw in a work the same power that you did. Publishing a book is an act of community, from the writer’s creation to the publisher helping to edit, design, celebrate that work. In our busy, overwhelming world, having a book find its way to individual readers is a remarkable act of determination and grace. Books saved my life and continue to save it: I treasure those moments in my job when I get to see how deeply a book affected someone else’s life. It is a privilege to do this work and to be part of the collaborative and passionate Riverhead community.